I still see these heaters on Ebay for use. In fact this drip feed heater was withdrawn and banned from the market in the early 70's. There were cases of them tipping over, and the parrafin spreading across the floor and igniting. If I remember correctly children died and many scarred for life. There was no fail safe mechanism to cut out the flame if it tipped up. The burner looks identical to the one we used to have in our paraffin heater. 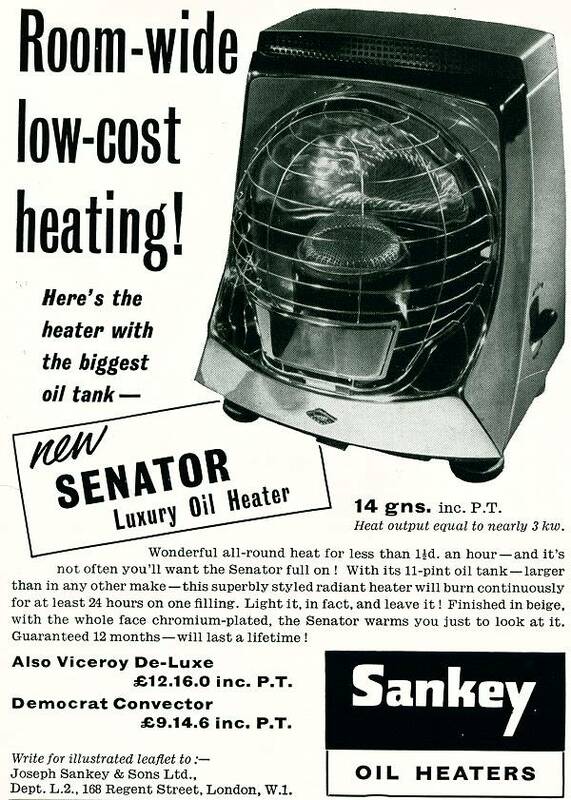 I don't recall 'oil' heaters from my childhood. Everyone had paraffin heaters. The smell they gave off was instantly reognisable, though I havn't smelt that distinctive smell for years. ive just bought one off the market today, what oil does it need and can you burn clean waste oil in it, does anyone know? it looks fairly decent and complete but the spring around the top of the burner has broken up, does anyone know where i might be able to find one? cheers.